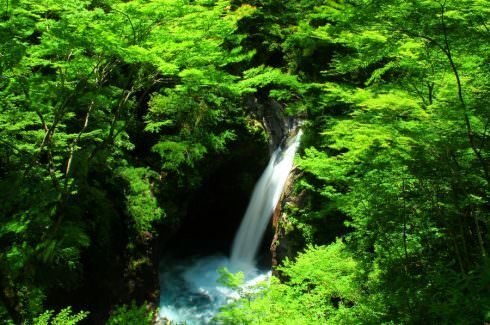 Counted among Japan's 100 best waterfalls. Although the depth of the pool is only 15 meters, the width of the waterfall basin is famous. In this secluded spot in the Shikoku mountains, the beauty of the gorge is overwhelming.